Winter time in the NC Smokies takes fun to a whole new level . . . literally. Maggie Valley is home to Cataloochee Ski Area, where you can ski and snowboard at over 5,000 feet in elevation. Or head down the mountain for a round of snow tubing at Tube World. 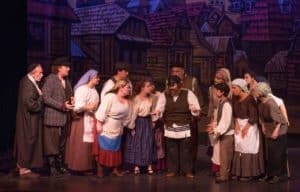 There are tons of other cool activities like scenic winter hikes, incredible live music and entertainment, and cozy spots to relax and warm up with local craft beer or glass of wine. 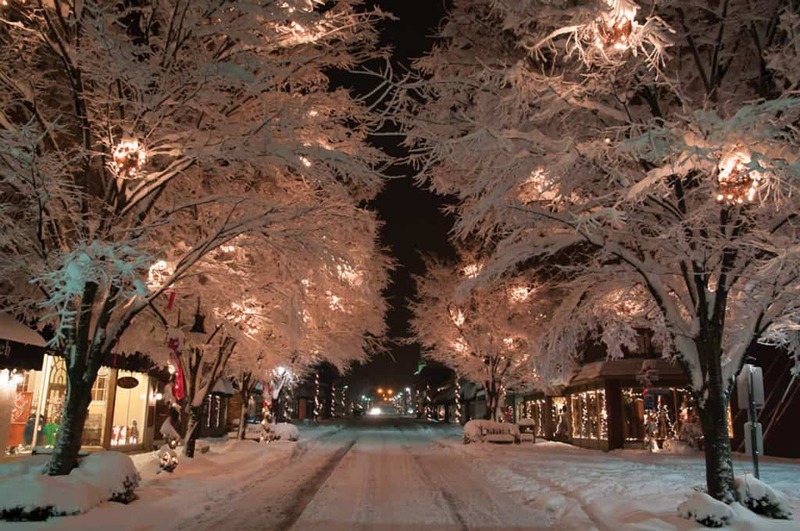 Trust us, Haywood County is exactly where you want to be this winter! 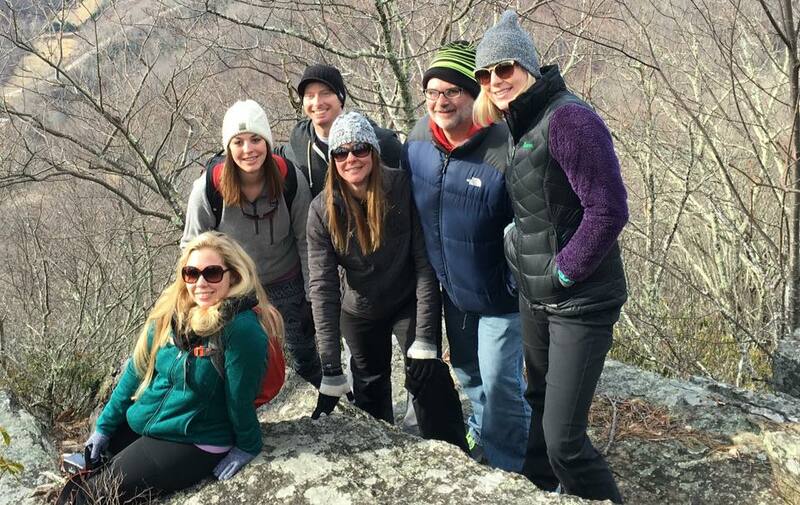 Check out our Winter Itinerary for some fun ideas. With 18 slopes and trails, Cataloochee Ski Area offers mountains of fun for everyone, from skiers to snowboarders, from novices to veterans. 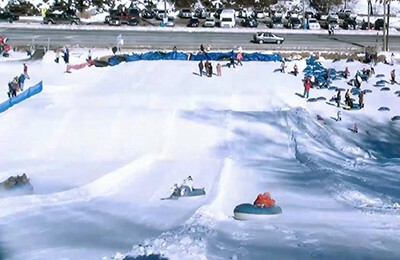 Tube World in Maggie Valley offers snow tubing fun for all ages! A perfect place for a family or group outing and offer tubing fun from mid-December to early March. 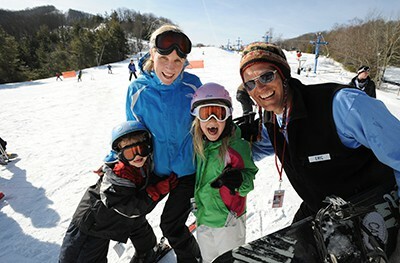 Bring the kids and have a blast with Cataloochee Ski Area’s Kids Stay & Ski Free program. Who couldn’t use a snow day?! Head up Hwy. 215/Lake Logan Rd. to access the Sam’s Summits Loop Trail, located in the Shining Rock Wilderness area of the Pisgah National Forest. As this area borders the Blue Ridge Parkway, it is often inaccessible via the Parkway in the winter due to road closures, but the trailhead for Sam’s Summits is accessible year-round. Purchase Knob offers a wide range of biodiversity and other appealing aspects all encompassed in a four-hour or less walk. Its winter accessibility, summer butterfly and wildflower abundance, and amazing panoramas make Purchase Knob the perfect hike. Easy to Moderate grade. Lake Junaluska Conference and Retreat Center offers a wonderful and serene 2.3-mile walking trail that circles the lake. Enjoy the beautiful mountainous landscape that surrounds the lake as you take a leisurely stroll. During a walk around the 2.3-mile walking trail, you will cross both the Turbeville Footbridge and the bridge above the dam. Smoky Mountain Whiskey, Moonshine, and Vodka with the same time-honored traditions & secrets of our forefathers. 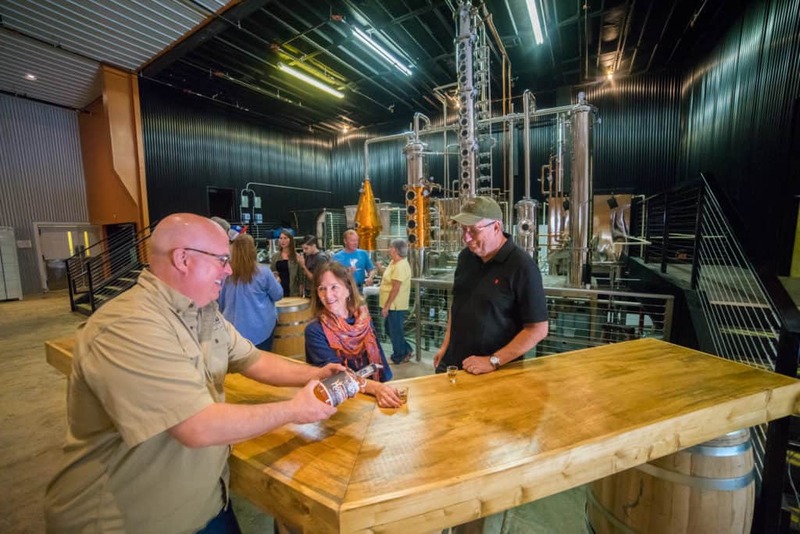 They’ll show you how they make their favorite spirits, then treat you to a tasting! Morning and early afternoon tours are the best times to see the still in operation. Our Award winning breweries are not to miss. Each has their own unique venues to go along with their brews. Established in 1942, The Strand at 38 Main is a Main Street Institution, and the only theater in Haywood County. We offer the latest Hollywood Blockbusters, and our newly remodeled lounge is open to the public. Stop in and enjoy local ice cream, beer, wine, our full coffee bar, and theater snacks. Imagine a Harlem speakeasy in the 1920s – a secret venue where you can escape to a cozy atmosphere, and where the performers are within arm’s reach. The Classic Wineseller is evocative of Hollywood movies about that era, including European styling and Old-World charm. Everyone is seated around tables, with front row tables for two. Enjoy music LIVE at the Classic Wineseller every Friday and Saturday evening.